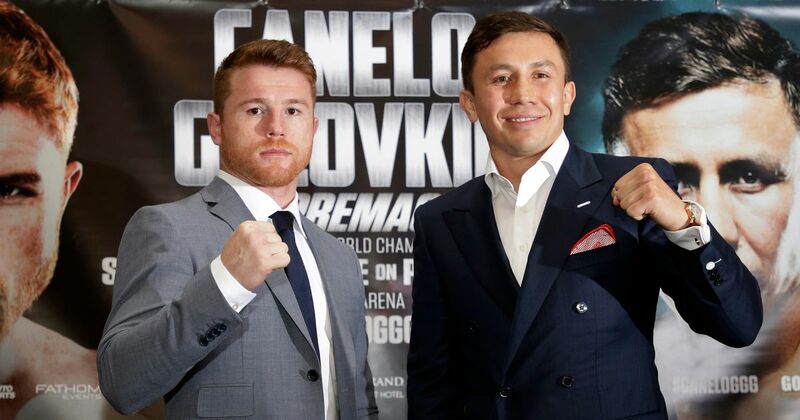 Now that middleweight champion Gennady Golovkin 38-0-1 (34) has gotten his May 5 title defence again Vanes Martirosyan 36-4-1 (21) out of the way, thoughts have turned to rescheduling the rematch with Saul “Canelo” Alvarez 49-1-1 (34) originally scheduled for Cinco De Mayo before the Mexican hero withdrew after failing two drug tests in February. But Golden Boy Promotions CEO Oscar De La Hoya and president Eric Gomez, who represent Alvarez, stated to the media on Friday that they would be moving on from negotiations with Golovkin’s promoter Tom Loeffler after the Kazakh reportedly wanted a 50-50 revenue split for a proposed September 15 bout in Las Vegas, Nevada. “He wants a more fair split from Canelo than what he agreed to May 5,” Loeffler told the Las Vegas Review-Journal. “I’d like to still find a way to work it out, but sounds like Golden Boy and Canelo are digging their heels in and saying Triple G doesn’t want to fight him. Golovkin scored an easy second round KO of career junior middleweight Martirosyan on May 5 at the StubHub Center in Carson, California after overcoming a range of issues to salvage a fight on that date. Alvarez would be suspended from boxing for six months by the Nevada State Athletic Commission (NSAC) after testing positive to the banned substance clenbuterol. Loeffler believe that Golden Boy Promotions is using the purse split as an excuse to avoid the rematch with Golovkin.